Your 120-minute long journey through Berlin will take you to most interesting landmarks and sights of this amazing city. 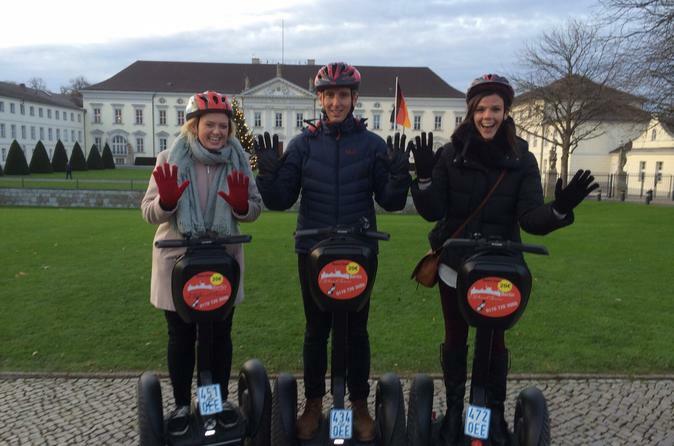 Enjoy a 60-minute guided e scooter experience and an hour on an electric bike tour. Before you get started, you will get the necessary training on how to operate both. Depending on the day and participants' skill levels, you might be visiting the following places during your small-group tour through Berlin:Holocaust Memorial, Brandenburg Gate, Pariser Platz, Reichstag Building and Bundestag, Berlin Central Station (Hauptbahnhof), Chancellery (Kanzleramt), House of World Culture (Haus der Kulturen der Welt), Bellevue Castle, Berliner Siegessaeule ('Victory Column'), Soviet Cenotaph (Soviet War Memorial in Treptower Park), Potsdamer Platz, Former Luftwaffe Headquarters, and Hitler’s Bunker. Your tour will end in Berlin Mitte where you are invited to enjoy a complimentary cocktail after your tour.